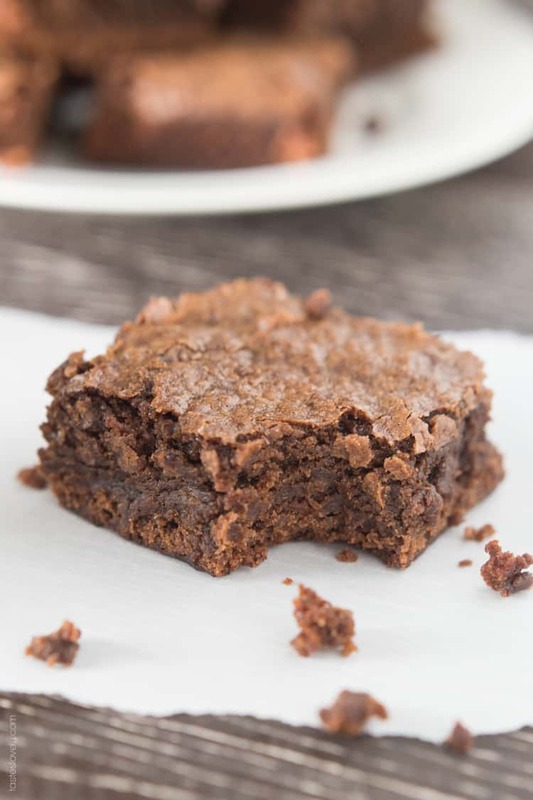 These fudgy chewy brownies taste exactly like a box mix, but better because they are homemade! An easy cleanup 1 bowl recipe, no stand mixer needed. Shawn and I spent 3 of our college years separated. Well, technically 3 years and 1 quarter. Shawn went to school at UC Santa Barbara, and it was so hard being apart he took WAY more classes than a full load and graduated 2 quarters early. He moved home a week before Christmas in 2008, and it was one of the best weeks of my life. While he was down south, I was here at home going to San Francisco State full time while waitressing. I would take the train (yes, old school Amtrak train) from San Jose to Santa Barbara to visit him about once a month. It would take about 8 hours, but it only cost $32 round trip and I could get lots of studying done. On the weekends when I couldn’t visit him, I would mail him little care packages. Sometimes they would include a mix CD full of my favorite songs that I would illegally download off Kazaa or Limewire (remember those?). Sometimes I would send him a new movie since the poor guy didn’t have cable. But one thing these care packages would always include were brownies. I would stack them up in a big tupperware container and write him a note on the lid with a Sharpie. He still has those lids. Every. Single. One. And I wouldn’t send him just any brownies, but these homemade fudgy chewy brownies. A box mix just wouldn’t show how much I care. Anyone could buy a box mix and add eggs and oil. No no no. It was only the best, homemade brownies for my guy. I actually like box mix brownies. 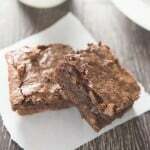 Until I made this recipe, box mix brownies were the best I had eaten. Mostly because of their dense chewy texture. Previous homemade brownie recipes I had made were too cakey, which is not what I want when I am craving brownies. 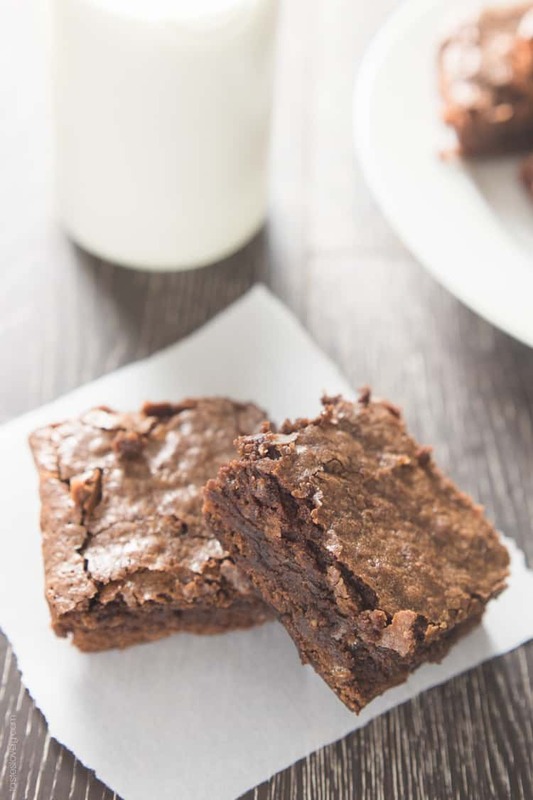 This homemade brownie recipe gives you everything you love about box mix brownies, plus the unbelievable flavor that comes with homemade. Plus, these brownies are embarrassingly easy to make. Just 1 bowl, 1 spoon, and 1 baking pan. No need to break out the mixer, or melt chocolate using a double boiler. 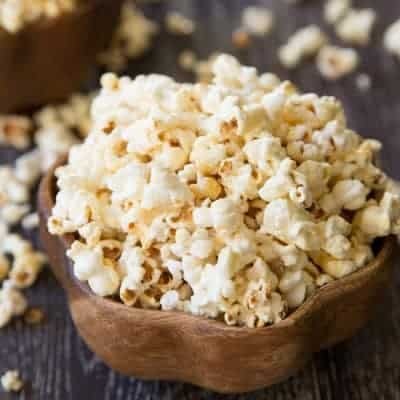 It takes just a few more minutes to make than a box mix, but tastes oh so much better. You can taste the love. Preheat oven to 350 degrees with the tray in the bottom rack. Cut 2 pieces of parchement paper to fit inside a 9×13 baking dish, 1 piece to fit vertically and the other piece to fit horizontally. Spray with non-stick spray, and I like to clap 2 of the edges down with large paper clips. Makes it easier when pouring in the brownie batter. In a large mixing bowl, add cocoa powder, then boiling water. Whisk to combine. Then add finely chopped unsweetened chocolate. Whisk until melted. Add in melted butter and vegetable oil. Whisk to combine. Mixture may look “broken” or “curdled” at this point, that’s ok. Add in the eggs and egg yolks. Whisk to combine. Add in vanilla and salt, whisk to combine. Add in sugar, whisk to combine. Last, add in all purpose flour and gently fold the flour using a spatula until just combined. Pour brownie batter into baking dish, making sure to spread it to be an even layer. Bake in the oven for 30-35 minutes, or until an inserted toothpick comes out with a few fine crumbs. Remove from oven, and allow to cool in baking dish for 10 minutes. Then remove the brownies from the baking dish by lifting the parchement paper out, this will avoid overcooking the brownies. Allow to cool for at least 1 hour before cutting in to brownies. This has to be my most favorite post of yours so far! I just love that story about you sending Shawn those brownies and he still has the lids! You and I must be on the same wavelength. Just this morning I was thinking about brownies and how I haven’t made any in a while. 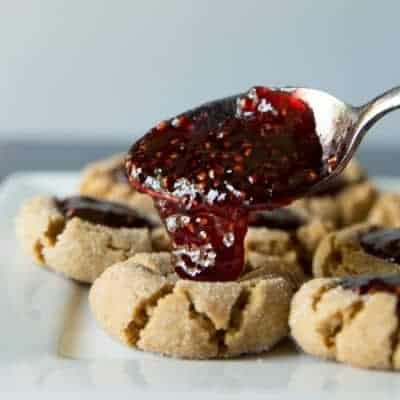 I think that means I need to make these asap! Ooooh, I do love my standby brownie recipe, but these look so chewy and good, I need to try them! I love the idea of the extra egg yolks. Yum! Pinned :) and thanks for the mention!! That’s so sweet that you would send care packages, Natalie! And I would definitely request these brownies, too. They look amazing! Fudgy and chewy are definitely the best. Wish I had a whole plate of these right now. Pinned! Absolutely perfect looking brownies! I can tell how good these are just by looking at them! Haha, I totally remember Kazaa and Limewire! Oh how times have changed, haha! Box brownies have always been my favorites too, there is just something about them that is so hard to re-create! I will have to try these ones though because they look so chewy and delicious and just like the box ones! Homemade brownies are my go-to dessert when I need something quick and easy! Yours look so rich and fudgy and I love that they’re made in one bowl. Pinned! Aw that must have been so hard! Ben and I did long distance for 3 months and that was long enough for me…too hard! Love these brownies, they look so fudgy and chewy, for me brownies are all about that texture and it looks like you nailed it with these! I’m in love! 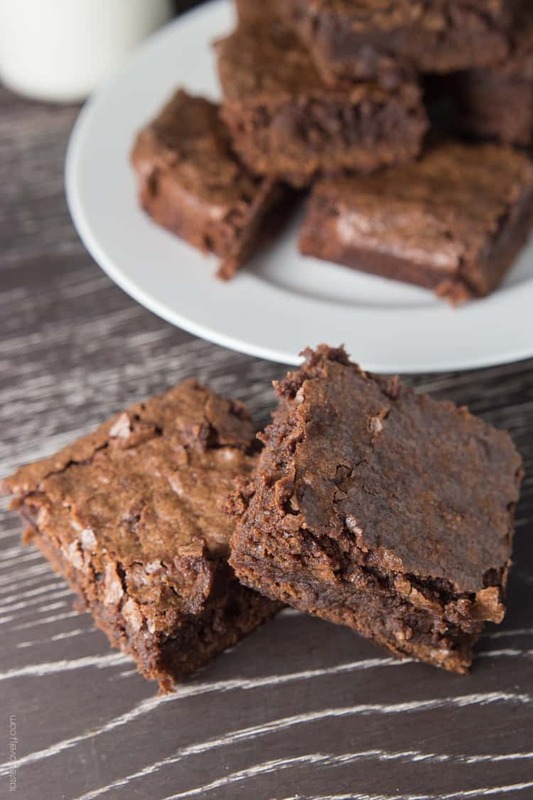 One bowl…I just met my new go to brownies! Love these. Oh my goodness, TOTALLY remember Kazaa and Limewire! But, I mean, I would never use them…. Lol. Love the crinkly top and the fudgy interior of these brownies! How sweet that you used to send him care packages, I love that idea! These brownies look like the perfect treat. They look so soft and fudgy too! These brownies look amazing super fudgy and rich! Can’t wait to make them. Homemade is so much better than boxed! Brownies are like the most amazing dessert on planet earth. Simple yet amazing. I never can resist! These look perfect! What a sweet story! There’s nothing better than homemade brownies. And there’s also nothing better than reminiscing about the early days as a couple. So sweet! That long distance thing must’ve been rough, and you were so nice to send care packages with homemade brownies! And how sweet he saved the lids. :) Brownies are one of my favorite things, and I think they’re so easy to make, so why ever do boxed? These look perfect, Natalie! Pinned. Oh I just love this story Natalie! So cute! And uhm LimeWire? Guilty! I don’t think I could have gone through my teenage years without it ;) And the brownies? They look TOTALLY fudgy and gorgeous! That’s the sweetest love story ever – I can’t believe he saved all of those lids. No wonder you kept him around;) These brownies sure do look like the best way to say “I love you”. These brownies looks so fudgy! You were such a great girlfriend! What a great story!! Clayton and I spent one summer apart and decided we were not cut out for long distance relationships so we moved! haha! I have got to try these Brownies, as crazy as it sounds I have never had homemade brownies that were better than a box! haha! I bet yours are! 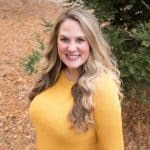 I just discovered your blog via Pinterest and let me say, I AM IN LOVE! I can’t wait to try your recipes. I will definitely be trying these out this weekend. We have a friend that I would love to make these for too but he’s on a gluten free diet. 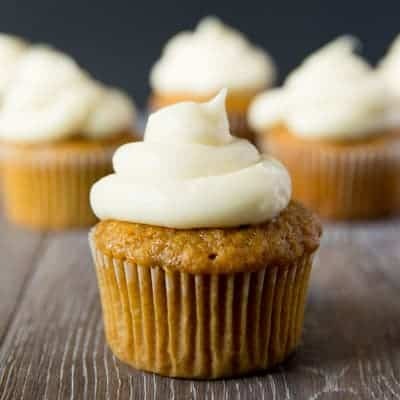 Just wondering, has anyone made these with gluten free flour? I’m wondering if they would turn out the same. Hi Lauren! Thanks so much for your nice words! Gave me a big smile on my face for this Monday morning. Hugs to you! I haven’t tried making this with gluten free flour yet so I can’t attest to how they texture will be, but I’ve had the best luck with the Bob’s Red Mill Gluten-Free All Purpose Baking Flour. Just substitute it in the same proportions as regular flour. Hope it works for you. Let me know how it turns out if you make it!